Hello fellow parents and caregivers! Thank you for checking out our blog. 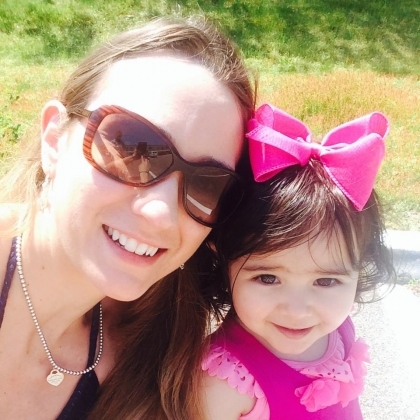 Here at Pink Elephant Organics, we want to celebrate YOU and your little ones. Being a parent is the most fun, frustrating, crazy, special, wonderful thing in the whole world. You may have heard the common phrase, “it takes a village to raise a child’ – we would love to be a part of YOUR village. My name is Liz Kakar – in addition to acting as Head of Operations here at Pink Elephant Organics, I am also the mother of three-year-old Ahnika (the original Pink Elephant Girl) and her little brother, Vinayak, who was just born this January. In addition to being the inspiration for this new clothing line, Ahnika is a spunky little girl with lots of heart. I will be posting in our blog from time to time to keep you updated on her antics. I wanted to share a little bit about myself. My family and I live on Long Island, New York, and I work full time in New York City. It’s a challenge balancing motherhood and a career, but I am fortunate to have a lot of help from my family and friends, plus an excellent sense of humor. The sense of humor is especially important – after all, what else is there to do but laugh when your infant spits up all over your work outfit when you’re about to walk out of the door? My husband and I met at Penn State University in a physical biochemistry lab. Although neither of us ended up in the science field, we’re both pretty happy we took that lab! I grew up in a small town in Western New York, called Bemus Point, located on picturesque Chautauqua Lake. 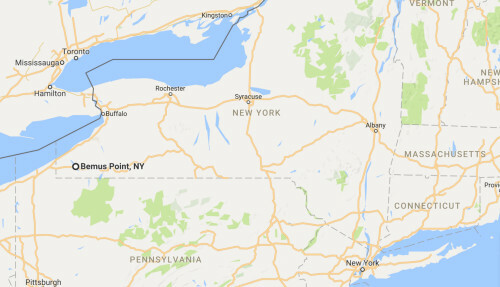 It is about 70 miles south of Buffalo, New York – and yes, they do get Buffalo snow! 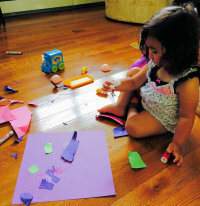 My daughter and I love crafting together and will be sharing some of our projects with you in Elsie’s Craft Corner. My favorite color is red. Ahnika’s favorite color is pink (of course!). I love my kids like crazy and definitely want the best for them. What’s that? You do, too? Great – we have something in common! 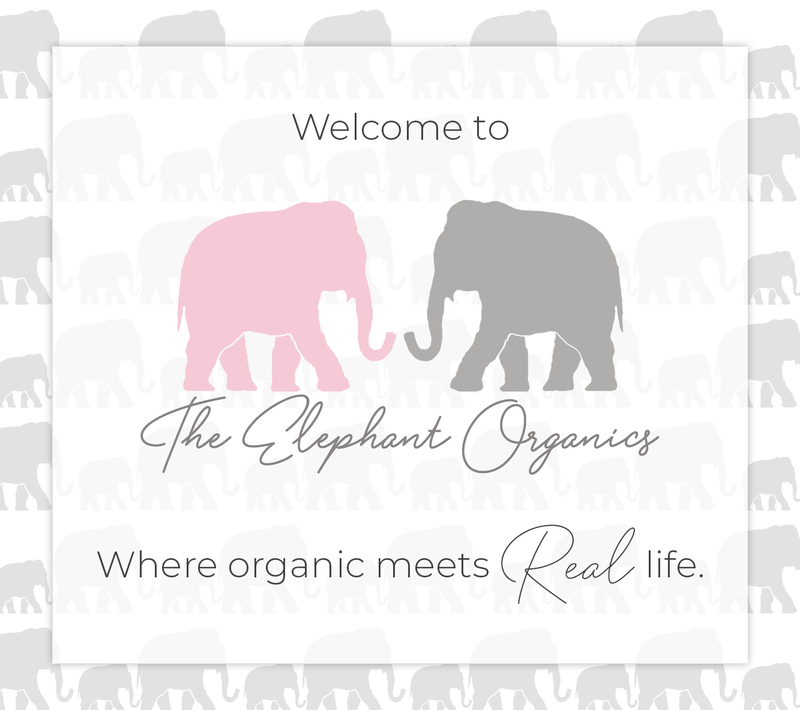 Welcome to Pink Elephant Organics – we hope you come back and visit us often. Let’s have some fun with this crazy experience they call parenting!